The HOBO Water Level data logger features high accuracy at a great price and ease-of-use, with no cumbersome vent tubes or desiccants to maintain. This data logger is ideal for recording water levels and temperatures in shallow wells, streams, lakes and freshwater wetlands. The HOBO Water Level Titanium is recommended for saltwater deployment for recording water levels and temperatures in brackish wetlands and tidal areas. 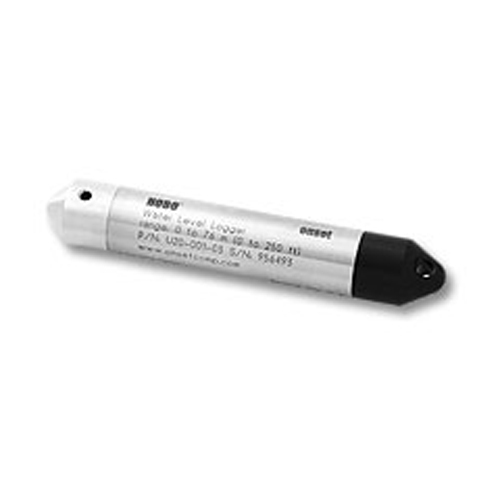 Shock/drop :Logger is sensitive to shocks. Handle with care and avoid any impact. Always use proper packaging when shipping the logger.